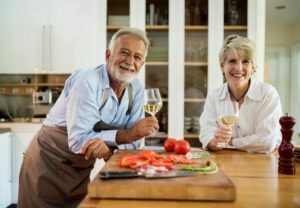 If you are a retiree or in your senior years and are looking for a meal delivery service that is focused on catering to your nutritional needs, then Silver Cuisine by BistroMD has been created just for you! Silver Cuisine by BistroMD is focussed on the fact that convenience can be a big factor with the third age demographic and they provide a meal delivery service that does all the work for you. That is menu planning, shopping, cooking, and delivery! As a customer of Silver Cuisine by BistroMD, all you need to do is heat the meals and enjoy them and use the time that you have saved on doing other things that you love! Silver Cuisine was created by Dr. Caroline Cederquist who is a board-certified physician who specializes in bariatric medicine. This is the study of how food is broken down in the body and converted into fuel. She is a passionate believer that food is our medicine and has founded a company that creates delicious and nutritious fully-prepared meals, that enhance her older customer’s lives. Silver Cuisine by BistroMD has been created with the needs of the third-age demographic in mind. 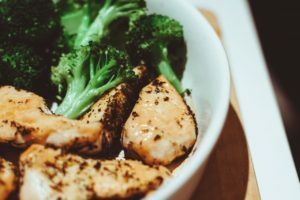 They also offer an attractive and convenient service for those who follow specialty diets and who would like assistance maintaining these in a way that is convenient and delicious. Some of the diets they cater for include gluten-free, heart-healthy, low-sodium and vegetarian, just to name a few. Silver Cuisine by BistroMD is a service that requires no membership commitments from their customers. There are no minimum order limits and as the service is fully flexible, it is simply a matter of ordering whatever meals you want, when you want them. Part of our review process at the Meal Kit Comparison is trying menu items from the companies that we evaluate. 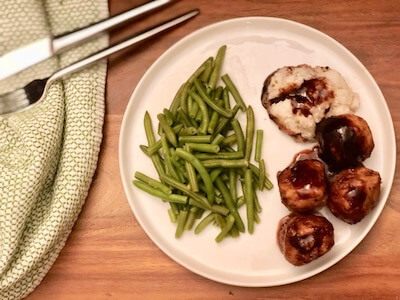 We had our doubts about Silver Cuisine by BistroMD as their meals are frozen, but we are delighted to report that we enjoyed the taste of all the meals that we ordered. For this review, we tried over 10 items from their menu which we believe is enough to gauge the quality of service. The meals were delicious, and we are quite happy to give them five stars! Most of the meals felt like they had just been cooked at home and we were also happy with the portion sizes which we felt to be quite generous. 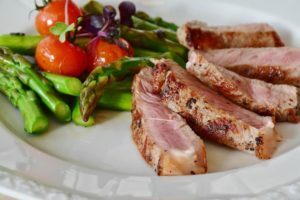 None of the meals of Silver by BistroMD have been mass-produced, rather they are cooked to order in small batches by professional chefs like you would cook them at home. They are then immediately flash frozen after cooking and delivered directly to you. The menu that is provided by Silver Cuisine by BistroMD is extensive and you will be spoilt for choice with over 150 tempting options! All their menu items can be ready to eat within five minutes! On the menu, you will find breakfast, lunch, dinner, and snacks. This basically means, that if you wish, you could have all your daily nutritional needs met by using Silver Cuisine! All their meals have been designed by doctors so contain the optimum nutritional values. Their meals are beautifully prepared, delicious, satisfying and healthy. We also loved their snack options as it is a real treat to have an indulgent snack that is also healthy. Keep your eye out for the ‘Eats’ dark chocolate and coconut bars – they are one of the best bars we have eaten, and we highly recommend you try them! Their menu is constantly updated with their Silver Cuisine by BistroMD team of dietitians and nutritionists and they also have many options for dietary requirements such as vegetarian, low-calorie, gluten-free and many more. 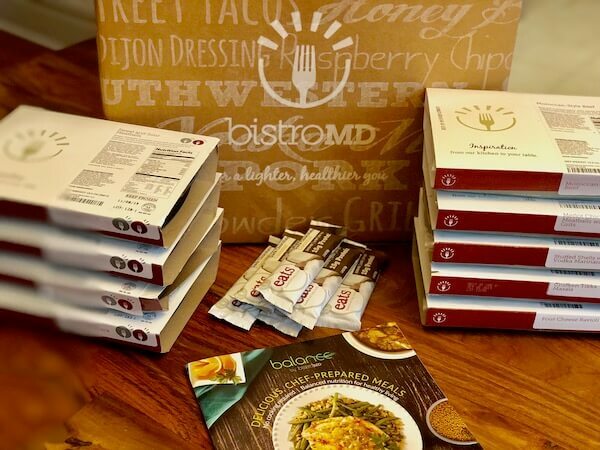 The delivery of Silver Cuisine by BistroMD is well organized and incredibly easy to unpack. Each meal arrives frozen in its own sleeve that contains the name of the meal, heating instructions, ingredients, and nutritional facts. All you need to do to unpack is put the meals straight in the freezer until you are ready to eat! The box included an insulated foam cover and the meals were packed with some large non-toxic ice packs so the meals very still frozen when we opened the box, even though we could not get to it for a few hours after delivery. The ingredients used by Silver Cuisine by BistroMD are of the highest quality and come from onlyfse responsible and sustainable sources. Silver Cuisine by BistroMD is passionate about using only the freshest and most natural of ingredients and to do this they have partnered with local family-owned farms, to ensure beautiful farm-gate produce. Managing your account with Silver Cuisine by BistroMD is easy to do via their user-friendly website. It is a very simple process that requires you only to look at their menu, select your meal choices and then order. You will find the option to sort the menu by type of meals and dietary requirements. You can also see weekly specials and new additions to the menu. 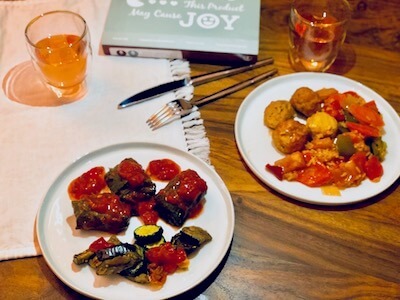 We were really impressed with Silver Cuisine by BistroMD and can advise that they provide a delicious and convenient service for senior citizens who do not have the energy, desire or capability to cook but who still want to enjoy a tempting, fulfilling and nutritious way of eating at home. Silver Cuisine by BistroMD does all the work for you delivering fully prepared and frozen meals to your door. All you need to do is heat the meals and then enjoy!